Most middle-class Americans - nearly three out of four - are insured through their employers, according to the report. For the one out of four who are not, it's become more and more expensive to buy health insurance on their own. Between 2000 and 2008, health insurance premiums grew three times as fast as wage increases. Romney has vowed to repeal Obamacare, which, starting in 2014, gives middle class Americans subsidies to help them purchase a policy. For example, a 40-year-old with a family of four making $50,000 would receive a tax credit of about $8,745 towards a policy costing $12,130, according to the Kaiser Family Foundation subsidy calculator. Romney says he will take steps to make insurance less expensive and give Americans more buying power. "Mitt Romney will institute reforms that control the cost of health care, so that all Americans will be able to afford the coverage they need," Romney spokeswoman Andrea Saul told CNN in an e-mail. One reform would be to allow people to buy insurance in other states. "I want these individuals and businesses to be able to buy insurance across state lines to get the best deal they can get anywhere in the country," Romney said in a speech in June in Florida. Romney's website outlines other reforms: Allowing individuals and businesses to buy insurance as a group to get more bargaining power, for example, and allowing money in health savings accounts to be used towards purchasing premiums. In 2006, as governor of Massachusetts, Romney signed into law a health care plan that, like Obamacare, provides subsidies for purchasing health care. While running for president, Romney has said each state should be allowed to choose a plan that's right for them. "We gave people a premium support program," he said in a speech at the University of Michigan in May. "[States] will have flexibility to deal with the uninsured in the way they think best... There will be different alternatives chosen." Everyone keeps insisting that your child can NOW have medical insurance coverage until the age 26. THIS IS NOT NEW. 10 years ago my children were covered until age 26 under COBRA, ashame on all reporters for not knowing this. "THIS IS NOT NEW. 10 years ago my children were covered until age 26 under COBRA, ashame on all reporters for not knowing this." Umm, I think you left out one key piece of information regarding COBRA: It's insanely expensive!!! Thank you, I have just been looking for information approximately this subject for a long time and yours is the best I have discovered till now. However, what about the bottom line? Are you certain in regards to the supply?|What i don't understood is actually how you're no longer really a lot more smartly-favored than you might be now. You are very intelligent. ... in other words he'd do nothing different than Obama except to take credit? 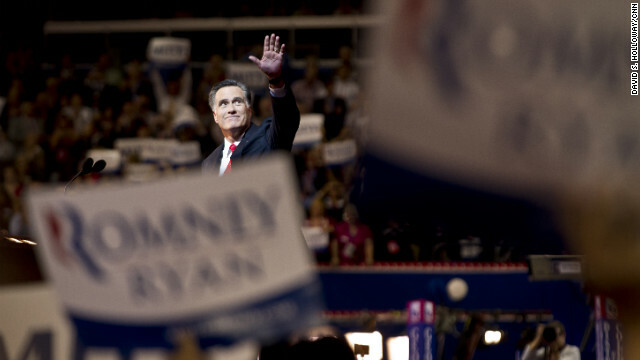 "[Romney:] One reform would be to allow people to buy insurance in other states." Fine, but would he then accept the obvious obligation of the Federal government to then regulate that insurance? "Romney's website outlines other reforms: Allowing individuals and businesses to buy insurance as a group to get more bargaining power." Strange. I'm not aware that this has been disallowed in the past. There's a new book out written by Leigh Abilland that describes what life is really like for ER nurses day in and day out and how politics affect a lot of things. It's called "Yes, I Know You're Dying." I would highly recommend it!